I've done maybe upwards of a hundred Challenges over the years. It started with health and fitness, way back in the day. My friend and I would meal prep in our little cottages, and we'd challenge ourselves to eat clean all week, until cheat day. I did a Whole30 that snowballed into a Whole 90. One time, my trainer issued--and I accepted--the challenge of doing 10,000 kettlebell swings in a month. Trust me when I say that my derrière has never been the same. I guess before I go too far into why I find Challenges to be so shift-sparking and growth provoking, and the growth I've seen in my life in the course of taking on Challenges, we need to agree on some things. Or one thing. Namely, what I mean by "challenges". I'm not talking generically about things that are a little hard to do, or a lot hard, though I like them, too. I think of Challenges as self-directed projects to change my behavior or spark some personal growth or development I'm clear that I'd like to have. Sometimes I want a mindset shift or want to make (or break) a habit, or I just have a sort of big project I want to sprint to finish, and Challenges are a container I've found that often works for me to get there. And it works every single time, here's why. 1. They hold space for new things in your otherwise-crowded world/life/calendar/day/mind. Challenges hold space in your mind and your calendar for the things you want to do. It also forces you to prioritize, and decide what you won't be doing for that time frame. Challenges also usually involve some level of tracking and accountability, and are often also (naturally or formally) social: all these things stack the decks of change in your favor. 2. They build momentum and habits by focusing your energy on actions you can control, vs. outcomes that are outsized or out of your control. If you want to write a book, setting a Challenge that says you'll write for 2 hours a day will automatically trigger some progress and mental momentum, because you know that if you just do that over and over again, for six months, chances are very good you'll have at least a rough draft in place when you're done. 3. They chunk big transformations down into doable daily practices. A Challenge to cut out sugar and alcohol for 30 days is vastly more likely to create lasting change than a nebulous "Lose 50 pounds" goal. Instead of "write a book," Challenge yourself to write something--anything--every day for 30 days, and watch what happens. 4. They create a standard and provide structure. Without the rules of a Challenge, your goals can be structureless and just hard to put a mental frame around. Having some standard to get to, whether it's a word count you'll write or just a number of days for which you'll do a thing, sparks that tiniest bit of competitiveness and energy. 5. But that standard is personal. You are the boss of yourself in a Challenge. Whether you create it yourself or you take on a Challenge someone else is running, you decided to take it on. And you have infinite authority to tweak the terms of a Challenge in order to make it work for you. You can start it a week later than everyone else. You can do it for 10 days instead of 30. You can do 3 days/week instead of 7. A Challenge is a competition, but it's only between you and you. 6. They are hard, fast and fun. 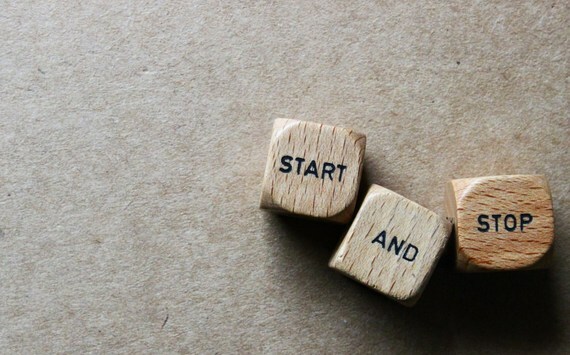 Having an upfront start and stop date just makes it easier to wrap your head around doing something hard for that time frame, versus telling yourself you have to start a new thing and do it For All The Days Of Your Life. 7. Challenges leave successful transformation in their wake, regardless of whether you have a technically "perfect score." The first time I did a writing Challenge, I wrote for a handful of the 30 days. And honestly, I was happy I did that much, and saw it as X number of days more than I'd written the month before. During those days, I also made a ton of progress in getting clear on a book project I wanted to work on, and some big business decisions I needed to make.